Sandra Rossi Kurtinitis, Ph.D., the president of the Community College of Baltimore County (CCBC) and a Wilkes-Barre native, will be the keynote speaker when Misericordia University holds its 92nd annual undergraduate commencement ceremony on Saturday, May 12 at 2 p.m. in the Anderson Sports and Health Center on campus. 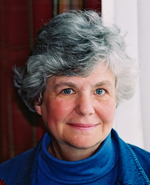 Mary Jo Leddy, Ph.D., the founder and director of the Romero House Community for Refugees in Toronto, Canada, and founding editor of the Catholic New Times, an independent Canadian Catholic newspaper, will be the guest speaker for the graduate commencement ceremony at 10 a.m. in the Anderson Center. Commencement activities also include a baccalaureate Mass on Friday, May 11 at 4 p.m. in Lemmond Theater in Walsh Hall. Misericordia University will present Drs. Kurtinitis and Leddy with honorary Doctor of Humane Letters degrees during the ceremonies they address. Dr. Kurtinitis has been the president of CCBC since 2005, and is currently the chair-elect of the American Association of Community Colleges Board of Directors and serves on the boards of directors of the Maryland Association of Community Colleges and the Community College Humanities Association. After more than 50 years as a community college professional, Dr. Kurtinitis remains a tireless and dynamic supporter of accessible, affordable and high-quality education that prepares students for transfer and career success. A self-described servant-leader, the GAR High School graduate is resolutely committed to inclusive leadership and open communication, affirming her belief that the classroom is a far more important place on campus than the executive office. Under Dr. Kurtinitis' leadership, CCBC has made significant strides in improving service to students while strengthening its operational areas to best support instruction. She supports a lean executive structure, bringing strong central leadership across the college while fostering a collaborative, learning-centered environment throughout the institution. Educating more than 60,000 students annually, CCBC has received many accolades during Dr. Kurtinitis' tenure. The college received the Kohlberg Prize twice for championing issues related to student veterans. It also is the recipient of the Leah Meyer Austin Leadership Award for Student Success, presented by Achieving the Dream. Community College Week magazine has named CCBC among the "Top 100 Associate Degree Producers'' in the United States. Dr. Kurtinitis has a reputation as a thought-provoking leader and is a trusted resource for local, county and state legislators, and has received several invitations to the White House to participate in discussions regarding higher education and college attainment. Dr. Kurtinitis earned her undergraduate degree from Misericordia University and a Master of Arts from the University of Maryland. She earned her doctorate from George Washington University, Washington, D.C. Prior to joining CCBC, Dr. Kurtinitis was the president of Quinsigamond Community College in Worcester, Massachusetts, from 1995-2005. In addition, she has published four books, written numerous articles, and been recognized with numerous awards, including her most recent induction into the Chesapeake Gateway Chamber's Hall of Fame in January 2018. Dr. Leddy is a scholar, teacher, social activist, and journalist, who has traveled extensively for human rights, peace and religious concerns to Egypt, El Salvador, Germany, Israel, Lebanon, Poland, the former Soviet Union, and Spain. Numerous American and Canadian universities have awarded her honorary doctoral degrees for her activism, work and teachings. As the founder and director of the Romero House Community for Refugees, Dr. Leddy has overseen several waves of refugees from Africa, Columbia, Eastern Europe, Iran, Mexico and the former Soviet Union for almost 25 years. At the University of Toronto, Dr. Leddy is an adjunct professor at Regis College and a senior fellow in Massey College. In addition to being a columnist for the Toronto Star newspaper and a radio and TV commentator, she is a member of several human rights and peace groups. Dr. Leddy also lectures on various topics nationally and internationally. 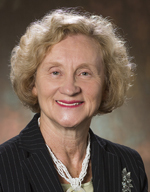 Dr. Leddy has written seven books and received numerous awards in recognition of her career. In 1978, the Canadian University President's Award recognized her as an "Outstanding Young Woman'' and in 1996 she received the Order of Canada. Through the years, she also has received the Governor General's Bronze Medal, Canada Council Doctoral Fellowship, the Ida Nudel Human Rights Award, the Canadian Council of Christians and Jews Human Relations Award, the Roman Catholic Communicators of Canada Award for Distinguished Contribution, the Ontario Citizenship Award, Gunther Plaut Humanitarian Award, several press awards, and many more. Dr. Leddy holds Bachelor of Arts, Bachelor of Education, Master of Arts and doctorate degrees from the University of Toronto. Her doctoral studies focused on philosophy of religion and political thought with an emphasis on political philosopher Hannah Arendt's approach to the Holocaust.